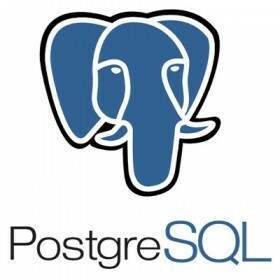 PostgreSQL is an open source object-relation database management system. It is available for all the major platforms like Linux, FreeBSD, Solaris, Windows & Mac OS X. With large number of extensions, written by third parties, PostgreSQL also has extensible data type, operators, index methods, functions, aggregates, procedural languages, for better handling of data. Security within the database is managed on a per-role-basis, which defines it secure environment. Download the open source DBMS PostgreSQL, to get the complete control on your data. PostgreSQL, often simply Postgres, is released under the PostgreSQL License, which is an MIT-style license, and is thus free and open source software. PostgreSQL is developed by the PostgreSQL Global Development Group, consisting of a handful of volunteers employed and supervised by companies such as Red Hat and EnterpriseDB. It implements the majority of the SQL:2008 standard, is ACID-compliant, and fully transactional (including all DDL statements).